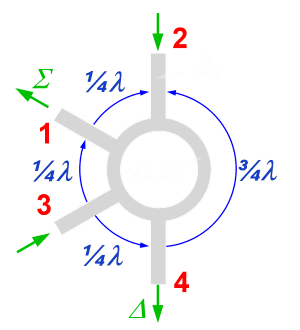 The 180 degree hybrid junction is a four-port network and may be used to a simple monopulse network. In case of transmitting the input is applied to port 1, it will be equally split into two components without phase difference at ports 2 and 3, and port 4 will be isolated. Ports 2 and 3 are connected with the left and right antenna group. In case of receiving the ports 2 and 3 are used as input ports. 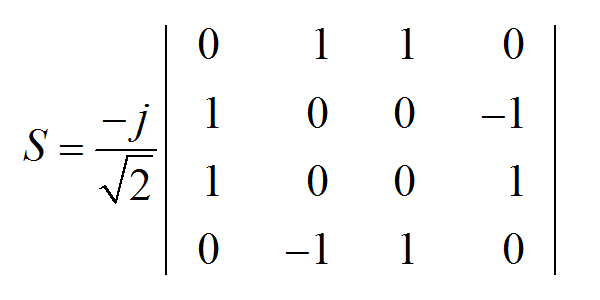 Port 1 provides the sum signal Σ, and port 4 provides the difference signal Δ. The 180 degrees Hybrid Coupler can likewise be used in the opposite manner. 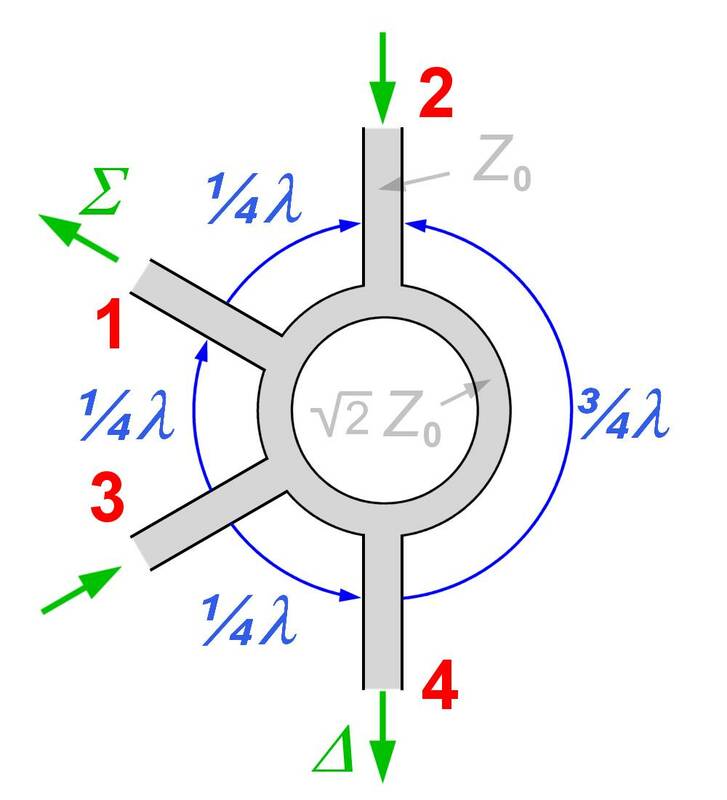 If we have both the sum and difference of two signals available, we can use this device to separate the signals into their separate components!  The matrix is unitary and symmetric. Hence, this coupler is likewise a -3dB coupler – the power into a given port (with all other ports matched) is equally divided between two of the three output ports.